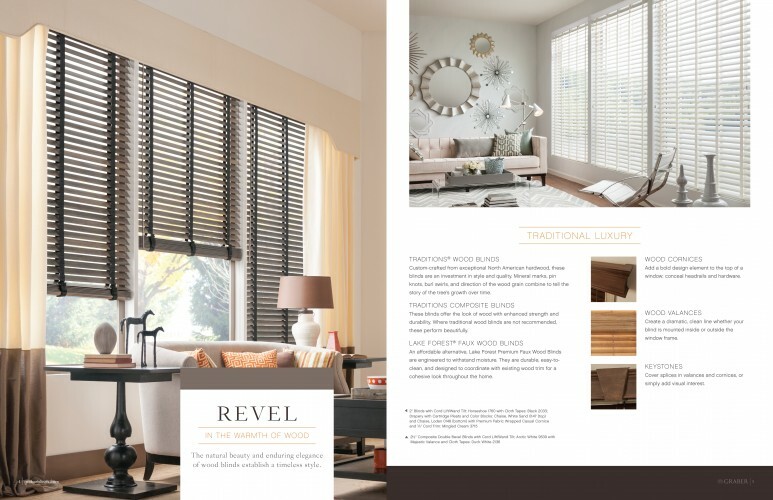 Live samples are shown in conjunction with inspirational photography and detailed product information to tell the complete story while allowing customers to easily navigate the pages with a sleek color coding tab system. The outer wrap features a selection of photography to show the vast selection included in the collection while creating a visual story. A inspirational booklet is included for more detailed information and to add to the overall experience of purchasing new window coverings.